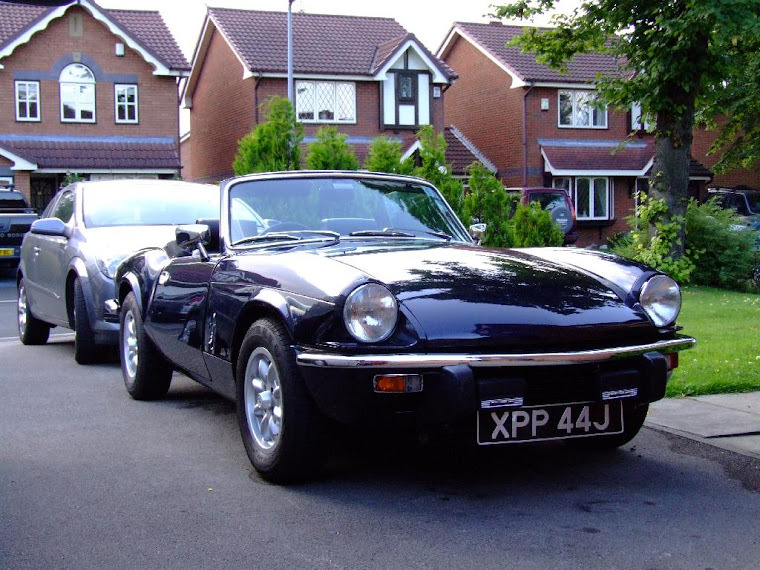 This is my blog, following the ongoing battle to keep a Classic Triumph motorcar on the road! Yes it can be that hard going! Well after a lot of thought and reading up on the Hows and What if's I have decided to inject the Spit. This will not be an overnight operation as I am planning to fabricate my own inlet and Plenum chamber as well as building the Megasquirt engine management unit myself. The kit came today and it looks a superb quality piece of kit. More on this soon. I have been busy with revision for an upcoming exam, however I am not holding my breath as I have been ultra busy at work and the last thing I have been wanting to do after a 18 hour day is revise. Well with the next few weeks off I plan to cram and cram. Fingers Crossed eh. I have done a little on the car, the bonnet is off again waiting for the engine to come out for a bit of work on the gearbox seals again. I have also bought a new engine crane as the previous lift belonged to Bob King and I was going over and above the friendship barrier as I have had his lift more than he has over the last 12 months. Well any Question please drop me a mail.